Whether you’re an absolute beginner, or a somewhat experienced piano player, reading piano notes can be a bit tricky. This can be even harder if you’ve never read sheet music before, and you’re only starting out. 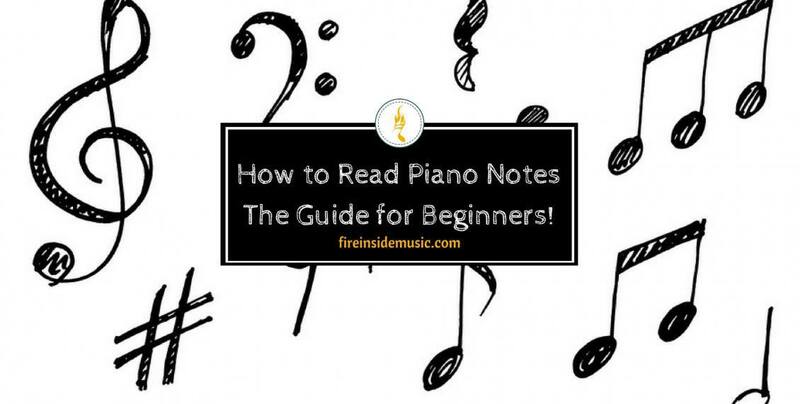 Here are a few guidelines to help you on your way toward reading piano notes. How to read treble and bass clef? How to synchronize your hands? If you’re new to the field of piano notes, you cannot expect miracles. Therefore, the only option you have is to start small and gradually develop your skills. First, before you even come close to reading piano notes, you have to learn everything there is about music notes per se. This includes all the symbols for notes, pause breaks and time signatures. If you already know this – good for you. If not, do your best to learn this “writing system”, because you won’t get too far without it. Symbols for writing music are like any other alphabet, so give it a couple of days and you’ll get the knack of it. Once you’ve learned the symbols for notes, breaks and time signatures, you will be able to move on quickly and efficiently. The next important step of handling piano music is the division between the treble clef and the bass clef. Basically, it’s the same “system”, only divided into two parts for practical reasons. So, what are treble clef and bass clef? If you’ve seen a sheet of piano music, you noticed there are two sheets – one above and one below. Note that they are not separate, although they may look like they are. Actually, they are part of the same unit, as they are both needed for proper piano playing. The upper sheet is usually referred to as the treble clef, whereas the lower sheet is called the bass clef. They are called “clef” because of their French origin – which basically translates as “key”. These symbols are used to indicate the key i.e. the pitch of certain notes, or a certain section of notes. The treble clef is mainly used for “melodic” notes i.e. the melody section of a song, and the bass clef is used for “baseline” sections of a song. This simple yet effective division happened simply because writing music needed a sort of guideline for players. Once you know where the border between the treble and bass clef is, you will play easily and with confidence. This division may be considered too strict, as there are many musicians who disrespect this and play as they please. This is true, but if we’re talking about musical theory and acquired rules, the basics should be followed down to a tee. This should be done at least until you reach the level of musical maturity that will enable you to play around, looking for your own artistic expression. Mind you, treble clef is sometimes referred as the G-clef, and the bass clef as the F-clef. The reason for this lies in the fact that the treble and bass symbol make is easier for players to locate the G and F notes, respectfully. However, you don’t have to memorize this right from the start, but it’s good to know as it may come in handy later on. Basically, the rules for reading these clefs are not at all hard. The treble clef includes all the notes that are to be played with your right hand. The bass clef includes the notes to be played with your left hand. A good way for remembering this is to imagine that the two sheets are like the hands of a person’s body. What’s closer to your left hand - the bass clef – would be played with your left hand. What’s further away from you would be played with your right hand. Once you memorize this, everything will fall into place. After mastering the treble and bass sheet, you can move on to more complicated content – the notes and note sections. In order to remember the note positions easier, you should learn the difference between the so-called space notes and line notes. The joint term for these notes is “staff notes”, because the term “staff” is also used for referring to the treble and bass sheet. If you take a look at the music sheet, you’ll notice that there are five horizontal lines with empty, white “strips” between them. The notes can be written both on the lines (hence “line notes”) and on the spaces (“space notes”). Every position on the sheet corresponds to a specific note, and you cannot write two different notes on the same line or on the same space. The only way to do this properly is by “sharpening” or “flattening” a note. This is done by placing a sharp symbol - #, or a flat symbol -♭ in front of a note, or at the beginning of the sheet if a song is in such a key. Otherwise, one position on a sheet is only used for one note, which makes reading music pretty easy and straightforward. Another point to have in mind while reading notes is their corresponding position on the piano﻿﻿﻿ keyboard. Just like on a music sheet, notes are next to one another on the keyboard. Furthermore, this means that two line notes (separated by one space) are also separated by a note on the keyboard. The same goes other way around. Two space notes (separated by one line) are separated by one note on the keyboard. By having this in mind, you’ll be able to move up and down the keyboard easily. This is something essential to proper piano playing. Time signatures are “all over the place”, and it’s impossible to avoid them. Before developing your playing skills, you have to learn the time signatures, as they directly correspond to notes of a given musical piece. Before discussing this further, we have to mention the notion of a music bar, or a music measure, as it’s an important part of musical notation. A bar is basically a period of time, a segment that directly corresponds to the exact number of beats within it. The word “bar” comes from vertical lines, resembling bars, which are used to “cut up” the sheet into the exact number of these time periods. This is done for the sake of clarity and musical precision. Within a given bar, you can have as many beats as there are in that bar. For example a 4/4 bar would have four beats within it. A ¾ bar (also known as ”the waltz”) would have three beats. 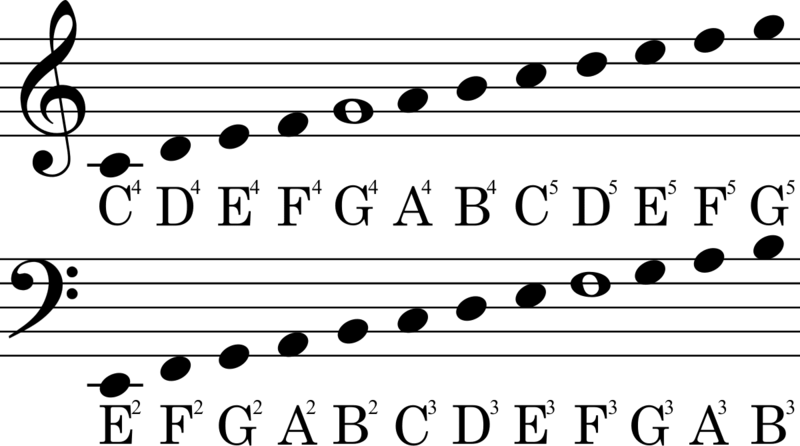 A 2/4 bar (“the march”) would have only two beats. Bars are directly linked to time signatures, and time signatures determine the style of a song. Depending on the time signature, we can have different rhythms within a song. We can also have a song with two time signatures – one for the verse and another for the chorus – and vice versa. This is why it’s very important to learn time signatures as soon as possible. One thing to bear in mind is that time signatures do not determine the number of notes within a bar. They only determine the number of beats. Therefore, we can have a bar with only one note, but also a bar with dozens of notes. Because of this, you will have to master time signatures and incorporate them into your piano playing. For starters, you don’t have to learn them all. You can start from the simple ones, such as the 4/4 time signature, as it’s the most common one in pop music. The ¾ time signature is a bit harder, because it’s an “odd number”, in a way, and the playing can be trickier. This time signature is also used extensively in pop music, as well as other genres. Mind you, these are just the simple ones – there are a lot more complicated time signatures that would make your head spin! Jazz music especially incorporates odd time signatures, and signatures changes within musical compositions. There is a 5/4 signature, a 7/4 signature and so on. Of course, if you’re not into jazz, or if you’re not just starting out, you won’t need any of these. These “broken” time signatures require a lot of experience and musical prowess. Nevertheless, they show us that mastering time signatures is essential to piano playing, at any level. If you have a music sheet in front of you, but you don’t know how to play the given time signature, you won’t be able to play the song. You may know how to read the notes, but it’s simply not enough. Reading piano notes goes hand-in-hand with palying in a specific time signature. Once you’ve covered all the basics, you’ll need to relax and wait for all the accumulated knowledge to sink in, as they say. If you’ve never read sheet music before, you won’t be able to master everything in a matter of hours, or even days. Just be sure to repeat what you have learned, every day: go through the scales, notes symbols and basic music sheets. The whole process is like learning a new language. Eventually, you will be able to differentiate between different notes and note groups, but it will only be possible if you brush up on your music knowledge on a daily basis. Another good idea is to try your hand at writing some music on your own. It doesn’t have to be anything complicated, but it will definitely help you out along the way. Just like learning how to write in a foreign language, you learn how to write music by – writing music. Start with a simple time signature, let’s say 4/4, and write a couple of notes. Then, play those notes for yourself. If it makes sense, they you’re already on your way. Of course, nobody expects you to write intricate pieces with hundreds of notes. After all, you may not even want to become a composer. However, a couple of bars now and then would definitely enable you learn how to read piano notes with ease. This is almost synonymous with piano playing, and with reading piano music. You will never be able to play the piano properly if your hands don’t “work together”. Both hands have to be synchronized in order to play a certain song or composition as it’s written/composed. Also, you won’t be able to read piano notes easily if your hands don’t work in unison. On the guitar, one hand usually does the bulk of the workload (holding down the chords) while the other one strums the rhythm. Piano, however, is a bit more complicated than that. You cannot rely solely on one hand to do all the work for you. The situation gets even more complicated when you have to read piano music. Now, you have to pay attention to your left hand, your right hand, the treble clef and the bass clef – at the same time! For most inexperienced players, this is too much, and they quickly give up learning how to read piano notes. Although difficult, this is not impossible to learn – all you need is patience and persistence. But before you learn how to read both treble and bass clef, be sure to practice synchronizing your hands, as it will open up new doors for you. 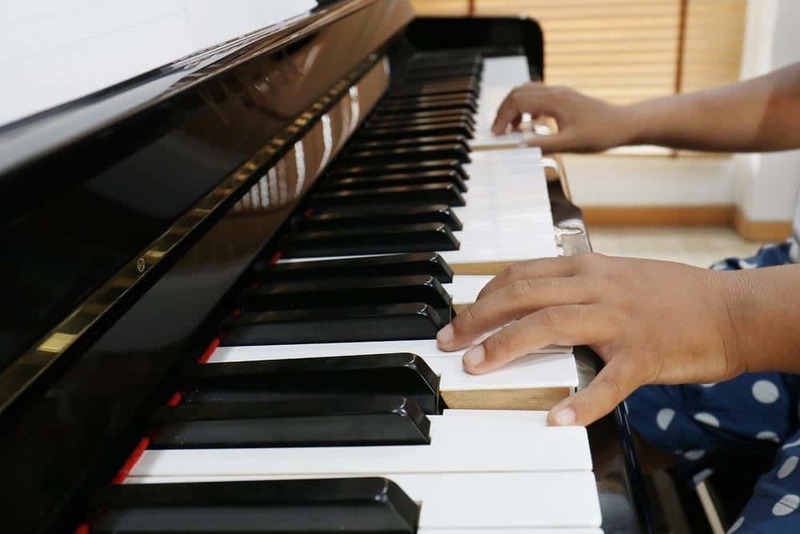 Once your hands are well-trained, reading piano notes will come to you more naturally. The best way to make your hands work together is to start small. Take up an exercise consisting of only a couple of notes, and practice your way around it. Mind you, speed will come gradually, so take your time. You can even slow everything down a couple of times, and then add the tempo as you go along. Also, you don’t have to practice both hands at the same time right away. First practice your left hand, and learn the note changes for it. Then, learn the changes for your right hand. When you practice each hand a number of times, and feel you’re able to move on, join them and start playing properly. Another time-tested idea is to change the tempo of your playing every now and then. Play fast, but next time – slow it way down. Or play extremely slow – and then turn it into an up-tempo version. This will broaden your horizons and enable you to master this skill more quickly. Once you synchronize piano keyboard with notes you’re reading from the sheet, you’ll slowly turn into a true piano player. 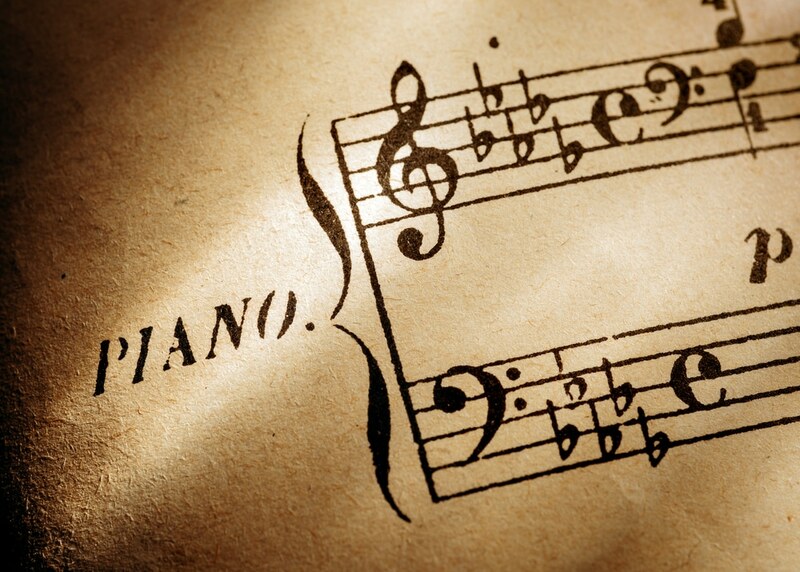 Reading piano notes isn’t as frightening or complicated as many people tend to think. With enough practice and persistence, you’ll be able to do it in a reasonable period of time.